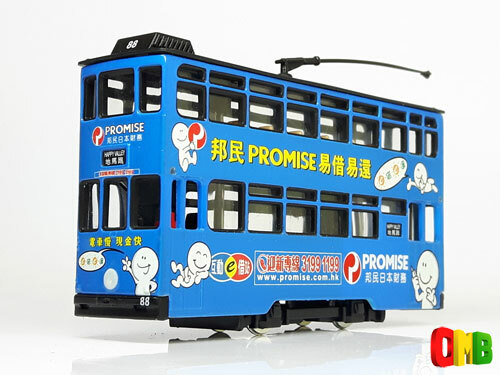 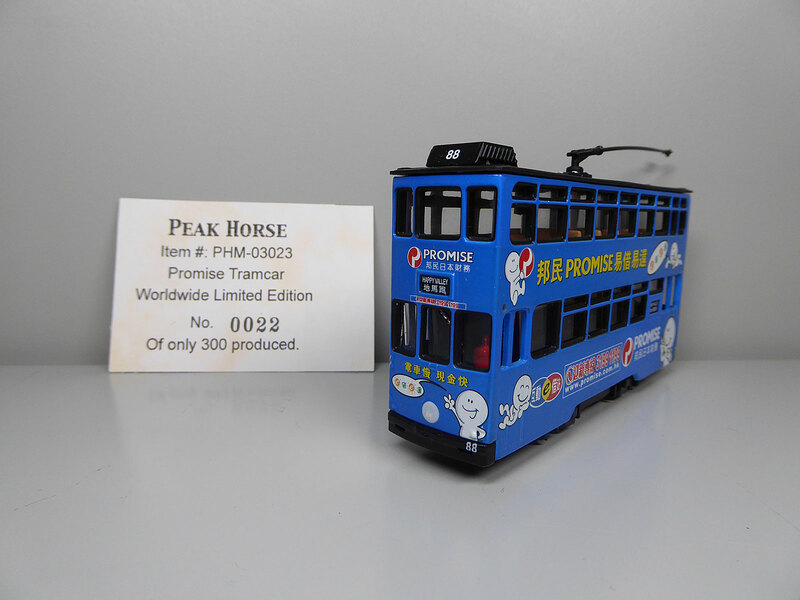 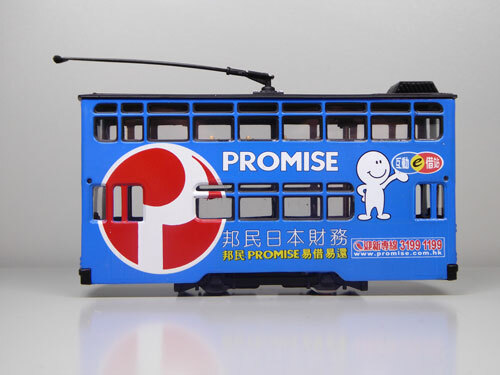 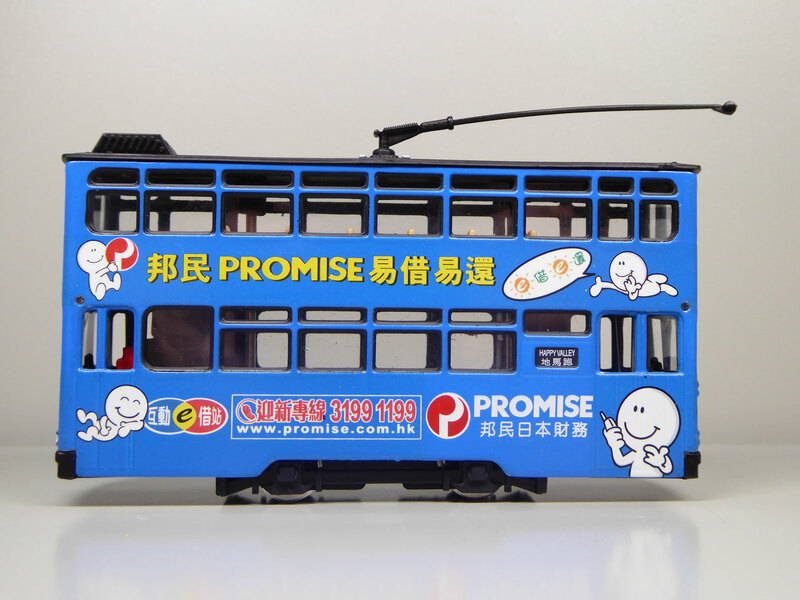 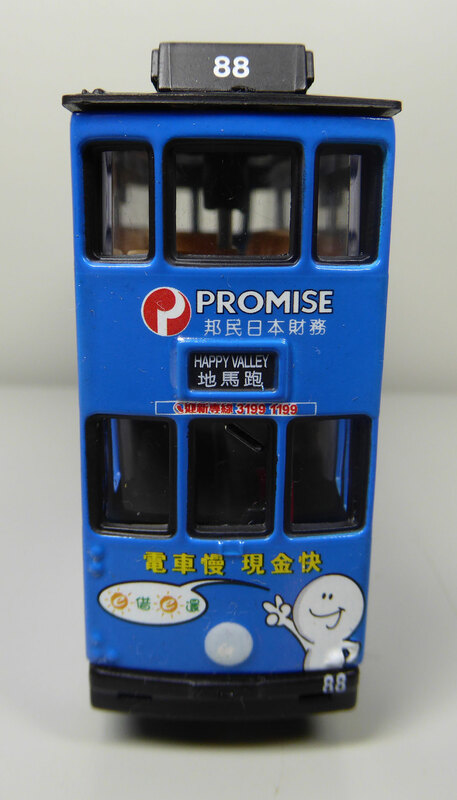 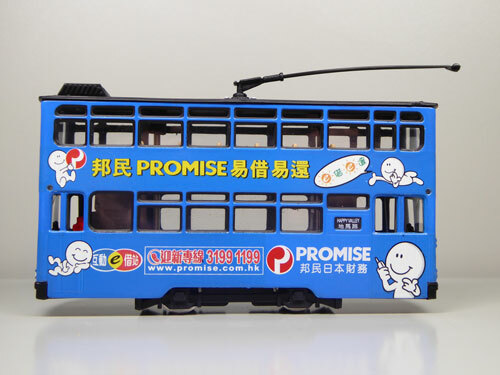 The model - this tram carries all-over 'Promise' advertising. It was listed as being a 'second-half' release for 2002. My thanks to Tony Tang for providing details. My example comes in a typical green 'Hong Kong Wonders' box and has wing mirrors to be fitted by the owner. 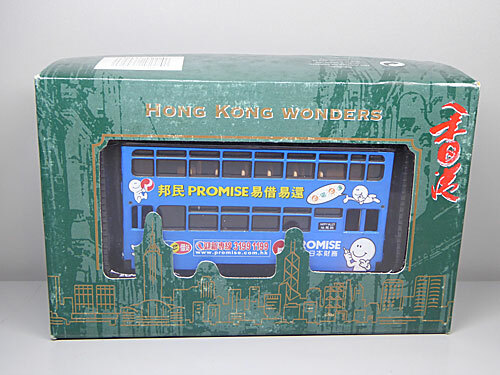 A limited edition certificate confirms its quantity as 300. In February 2016, Stephen Walsh purchased an example that came in a clear plastic display case and with Promise cardboard packaging. 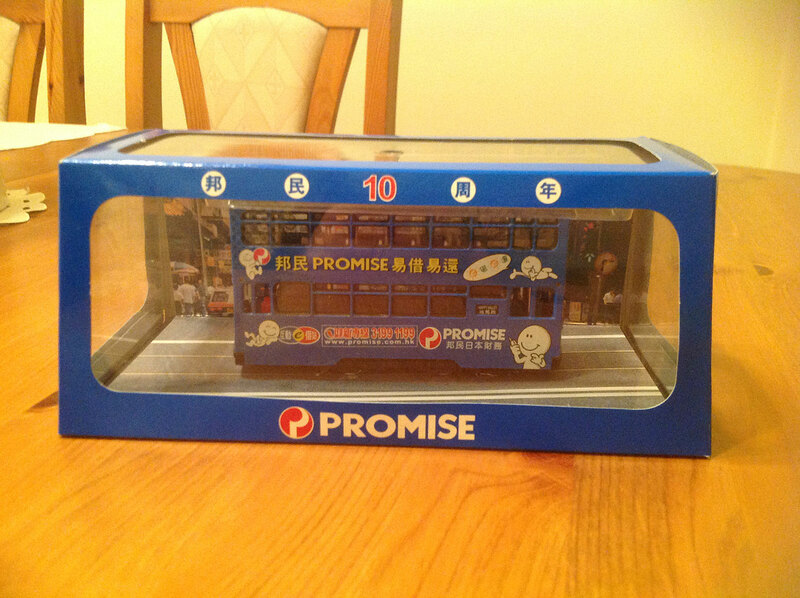 As Promise celebrated its 10th aaniversary in Hong Kong in 2002, this appears to tie in with its release.